(1) Salman Khan will be back in Mumbai Bollywood Industry on November 13, 2011. He has been out of the country since August for his film shoots and medical treatment. He had made two very short trips to Mumbai in September end and just before Diwali for the shoot of his reality shows which he co-hosts with Sanjay Dutt. Now, He will be then back anchoring the show. But just before he returns from Turkey where he was shooting for his film Ek Tha Tiger, he will make his way to Dubai. 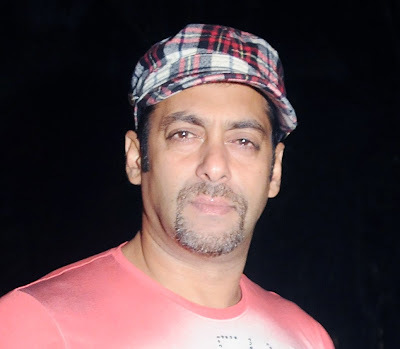 Salman Khan Ek that tiger movie – in it, he will play an alleged rogue nuclear scientist. (2) As per Latest Bollywood Interviews, actor director Puneet Issar said that, he wouldn't exploit his friendship with Salman Khan for his personal gains. "I believe its all destiny. I wanted to make a film which is close to my heart and not just get carried away by the success of Garv. Then I started work on this film and the research consumed a lot of time". "Today only Yash Chopra, Karan Johar or Sajid Nadiadwala can afford to do that. So I wanted a producer who would believe in me and give me that kind of liberty. With newcomers in your cast, any producer would allocate a budget of not more than Rs 5-6 crores. But the scale I wanted was big and Sardar Peshaura Singh Thind left no stone unturned in the making of I Am Singh".